Home New 3-year Diploma students at CCDS! New 3-year Diploma students at CCDS! 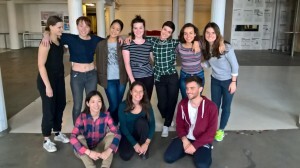 Finally the new students at the 3-year Diploma Programme have arrived at Copenhagen Contemporary Dance School. We are very exited and so happy to see them! « New Pre-Education students at CCDS!